Thursday July 9th, Lip Sync Battle returns to Spike! With: Justin Bieber, Deion Sanders, Will Arnett, Alison Brie, Iggy Azalea, The stars of the hit show Empire – Terrence Howard and Taraji P. Henson, and more! 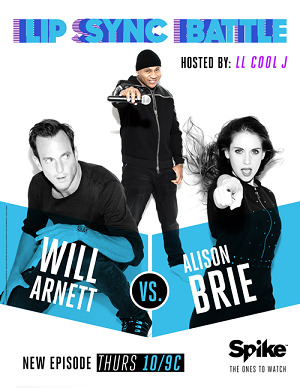 Lip Sync Battle, hosted by LL Cool J, All-New Thursday July 9th at 10/9c on Spike. Register below to win your $25 American Express Gift Card!